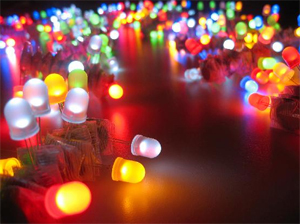 LED Throwies are an inexpensive way to add color to any ferromagnetic surface in your neighborhood. A Throwie consists of a lithium battery, a 10mm diffused LED and a rare-earth magnet taped together. Throw it up high and in quantity to impress your friends and city officials. Blast from the past… TRECH Back-in-the-day graffiti blackbooks.